The OptoAST™ (At Sample Tap) Sampling Interface integrates the AirHead™ Gas Analysis Probe with conventional or NeSSI™ sampling platforms. 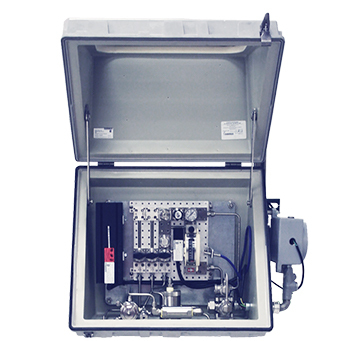 Traditional analyzers utilize an extractive sampling approach to transport a sample to the analyzer. This approach is known for its complexity, cost, and poor reliability. The OptoAST Sample Interface allows real-time, true “pipe centric” analysis which minimizes the challenges associated with process sampling. Analysis without sample consumption or consumables is realized with the OptoAST Sample Interface.